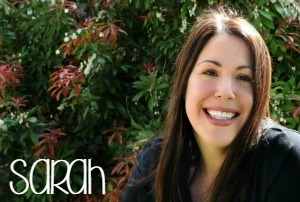 You are here: Home / General Crafts / Bath and Beauty / Candy Corn Bath Bombs – A Fall Bath Bomb Idea to WOW! 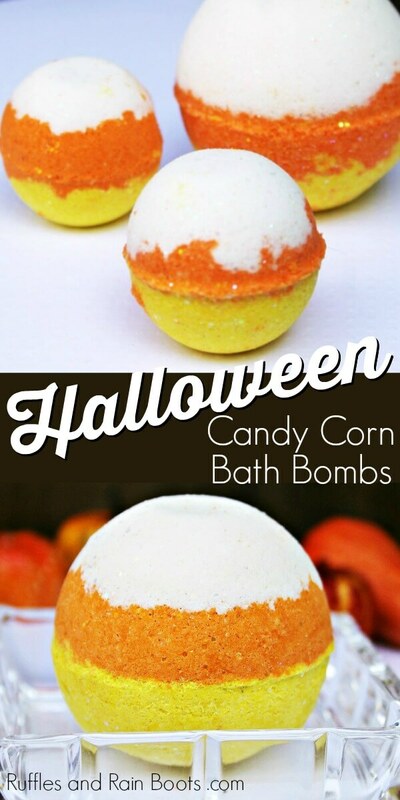 Candy Corn Bath Bombs – A Fall Bath Bomb Idea to WOW! 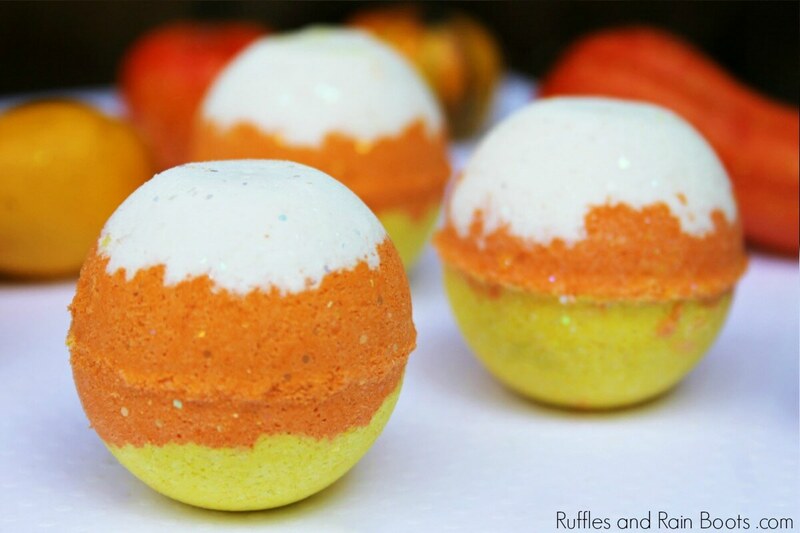 These candy corn bath bombs will WOW for a non-candy Halloween treat. Click to see how to bring the smiles. 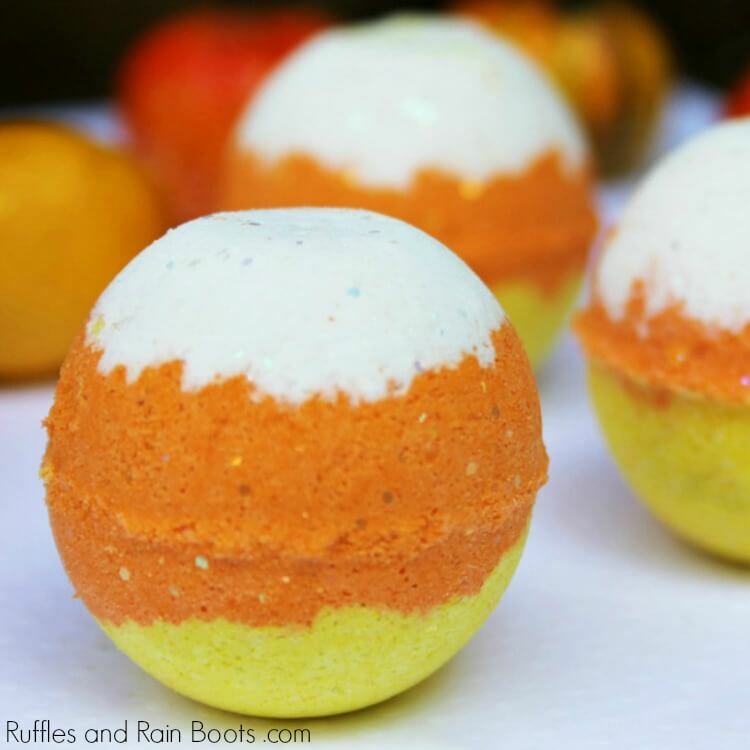 We love creating our own DIY bath bomb recipes here on Ruffles and Rain Boots and these candy corn bath bombs are up next. Sometimes, you make things just for fun – these are those bath bombs. Look at those colors! Bright, fun, and perfect for a non-candy Halloween treat. If this is your first time making bath bombs, I’ll let you in on a secret: not all bath bomb molds are created equal. Visit our Bath Bombs Shop on Amazon for our favorite products we use daily. One of the best tips I can give you for making bath bombs is to really get in there and use your hands. I wear disposable gloves and don’t worry about drying out my hands or coloring them. Another tip is to get a muffin tin and drape a dish towel over it. Once you remove a bath bomb from the mold, place it in a muffin cavity and let it harden for up to 2 days. 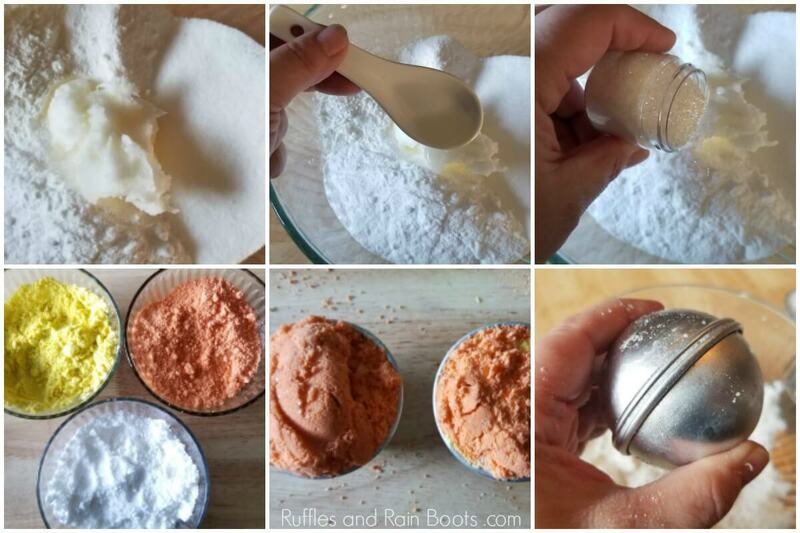 In a large bowl, mix baking soda, citric acid, and cornstarch together. Add the polysorbate to the coconut oil. Then, add the mix to the large bowl of dry ingredients. Add scents and glitter, if using, and mix well. Again, use your hands. Separate the mixture evenly into three bowls. Color each with a single color of mica powder. Mix thoroughly. Fill one side of a bath bomb mold about 1/4 full with the white mix and pack gently. Fill the same side to the top with orange mix and pack. Add yellow mix to the other side of the bath bomb and pack before filling the rest of the way with orange. Press the mold together, twisting to remove excess mix. Tap each side gently and remove the bath bomb. Store (or gift) these candy corn bath bombs in an airtight container until ready to use. You can also seal each bomb within a cello bag for a LUSH-like presentation. If you are gifting these as a non-candy Halloween treat (to yourself or others), I’ve made you a little bath bomb tag for a jar or to use on an individually-wrapped bath bomb. 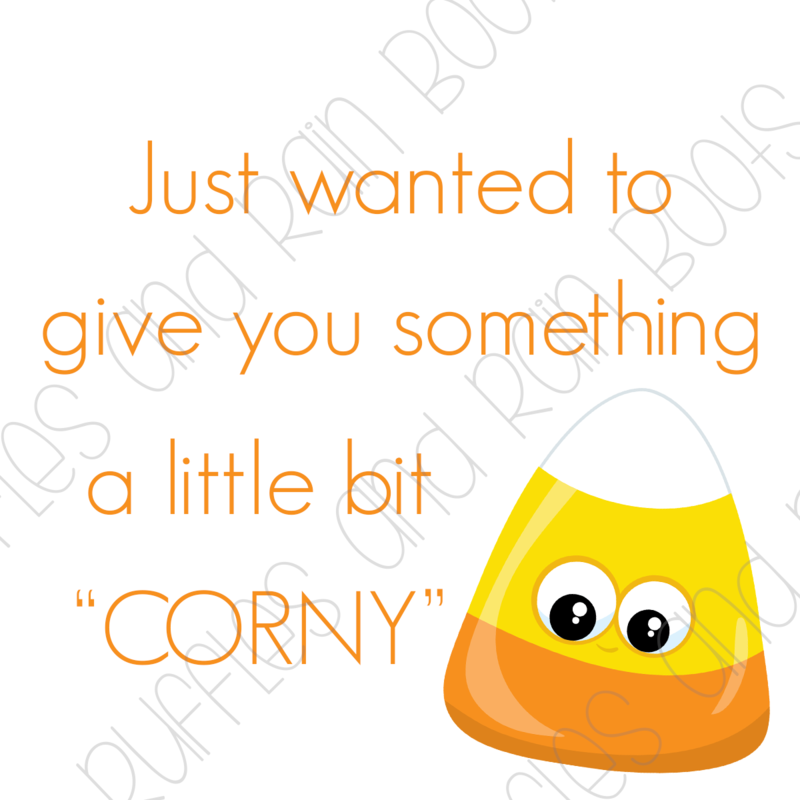 Click here to download the free candy corn bath bomb gift tag. What is your favorite non-candy Halloween treat? Let us know in the comments below.